King Abdullah Economic City, 27 January, 2019: The inaugural Saudi International powered by SBIA is gearing up to be a stunning success thanks to the generous support of the Tournament’s national and international partners. 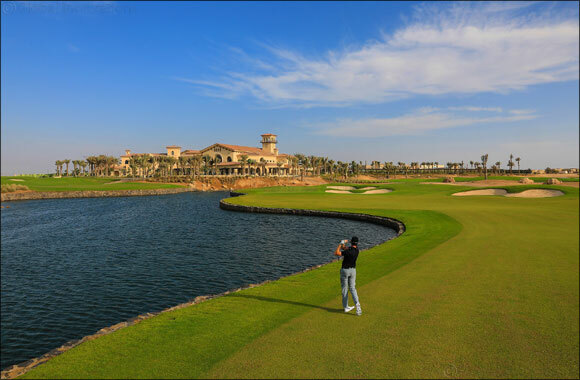 Some of the world’s finest golfers will arrive in the Kingdom next week to compete on Royal Greens Golf & Country Club’s breathtakingly beautiful course, contest a lucrative prize fund and sample first-hand the delights of the ever-expanding King Abdullah Economic City, the country’s most progressive development. Saudi Arabia will be firmly in the world’s golfing spotlight for the first time as the European Tour heads there for the third leg of its famous and prestigious ‘Middle East Swing’, showcasing the vision and ambition of the Saudi Golf Federation to grow the game across the Kingdom. Federation’s desire and ambition to put Saudi Arabia on the golfing map. Lead partner SBIA, Tournament partners top the list of partners which includes the Public Investment Fund (PIF), General Sports Authority, SABIC, national airline Saudia, Saudi Aramco, King Abdullah Economic City, Gulf International Bank, Saudi Telecom Company (STC), Invest Saudi, Saudia Cargo, Rolex and Saddik & Mohamed Attar are all supporting the Event. His Excellency Yasir Al Rumayyan, Chairman of the Saudi Golf Federation, said: “The Saudi Golf Federation is incredibly grateful for the outstanding support of all our wonderful partners and suppliers in the event’s debut year. “The Federation’s vision is to bring the world’s best golfers to the Kingdom for a festival of golf and entertainment, and thanks to the help and support of our partner companies we will be able to achieve this. The game’s biggest stars will arrive in the Kingdom in just a few days’ time and I am confident that the first Saudi International powered by SBIA will not only meet the lofty expectations we have set but far exceed them. Economic City. Four of the world’s top five golfers, eight players from last year’s Ryder Cup and no fewer than seven Major champions will be playing and the world-class action on the course will be complemented by a huge variety of activity and entertainment off it.